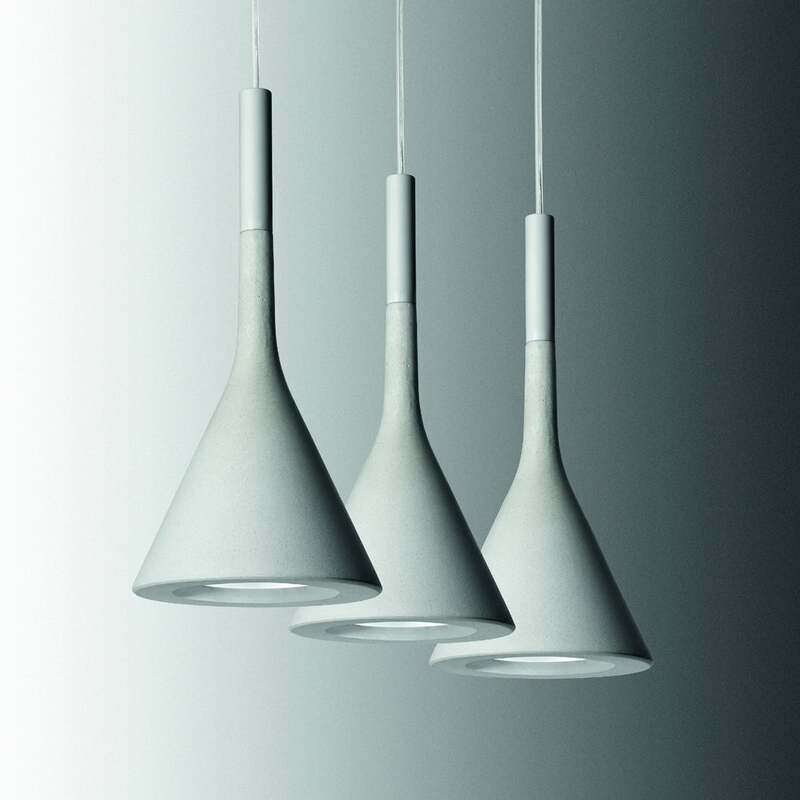 The Pendant Lamp Aplomb by Foscarini combines the substance concrete with a both simple and decorative appearance. 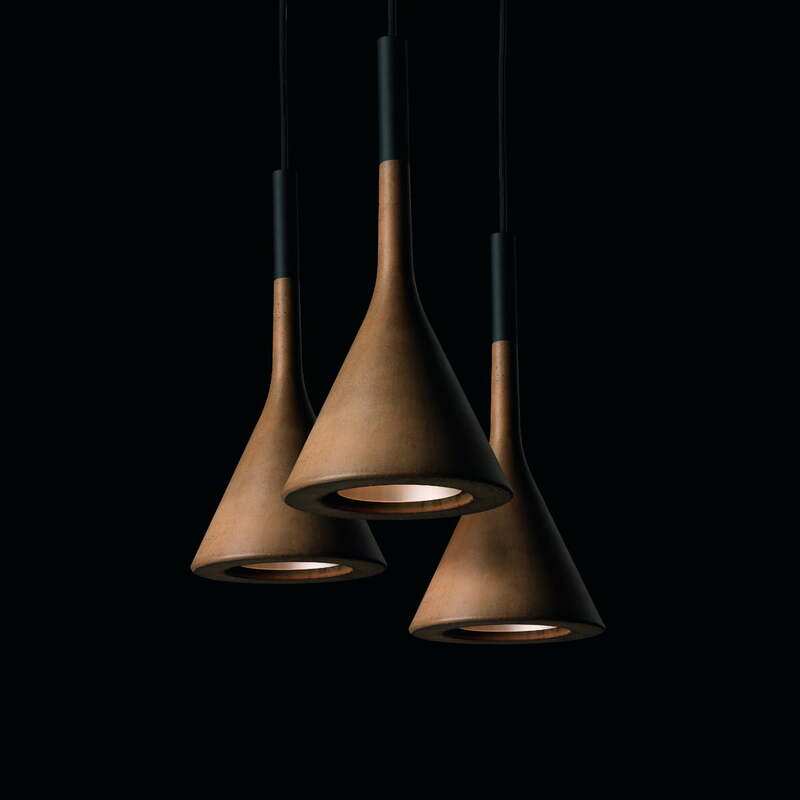 The designer of the lamp are Paolo Lucidi and Luca Pevere. 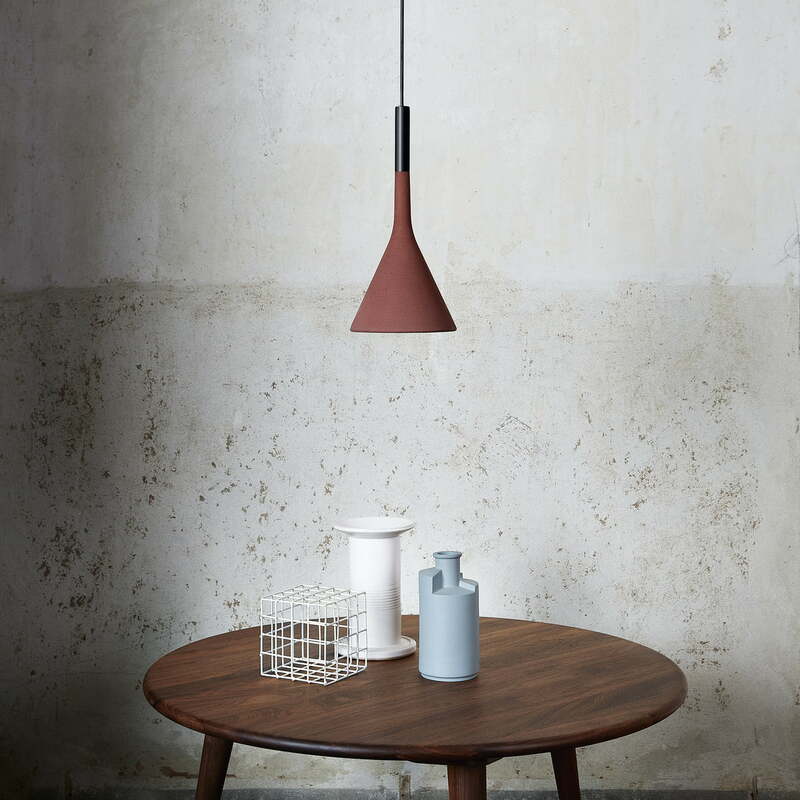 The elegant pendant light Aplomb is made of concrete and shapes with its simple design any environment, ranging from architectural objects to private households. 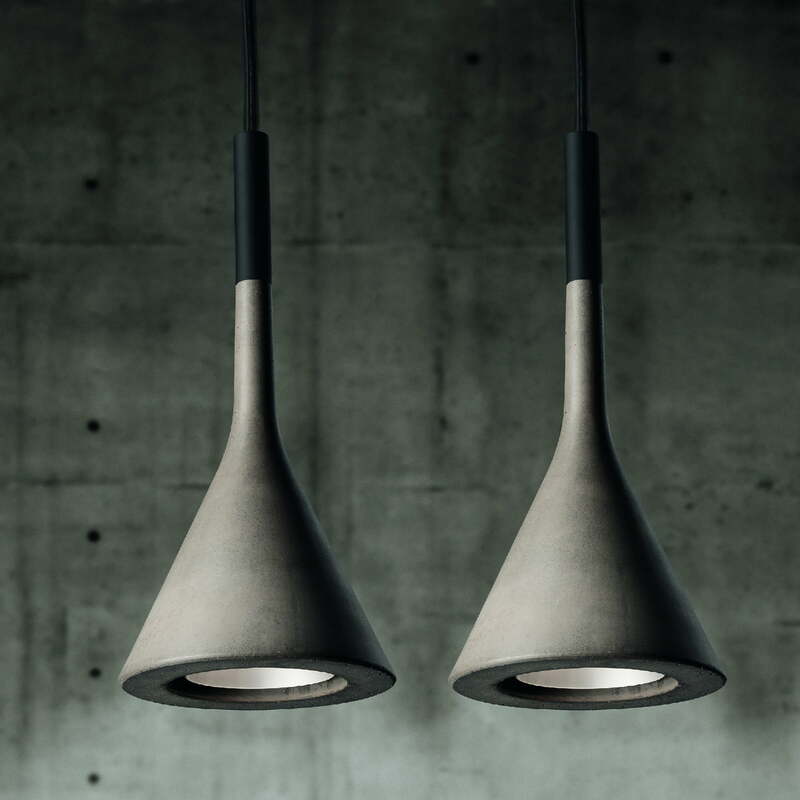 The innovative and uncommon use of concrete as a substance gives the lamp its rough charm. 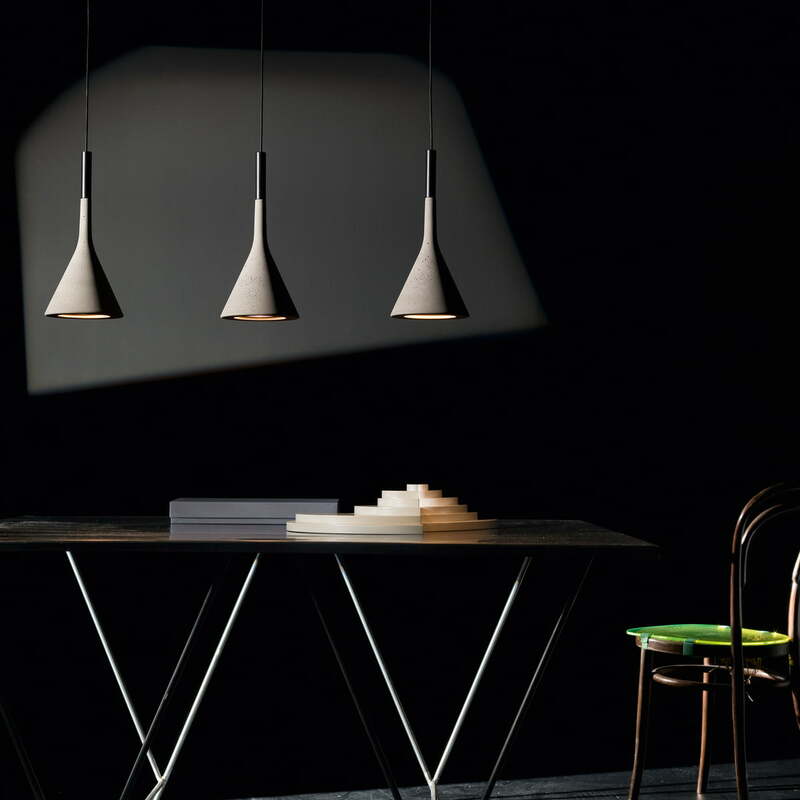 The uncommon pendant lamp made of concrete makes a direct and punctual lighting of the surface beneath it. 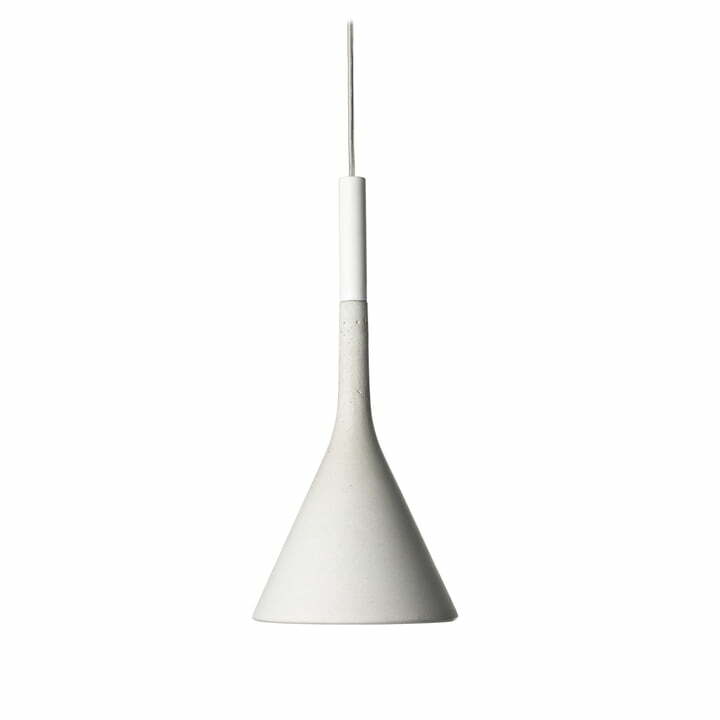 Due to its small measure, the lamp can either be just single or in a group. With the optional multiple canopies, several Aplomb lamps can be arranged either in a row or in a group formation, according to the accommodations. 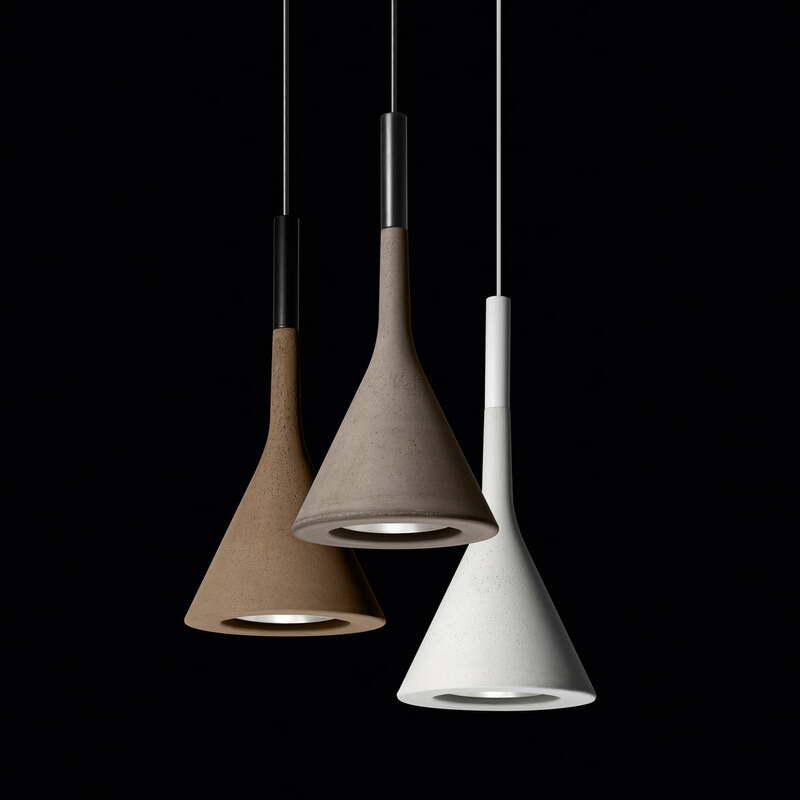 The Aplomb Pendant Lamp is available as Aplomb (halogen) with a G9 socket and as Aplomb (LED) with a GU10 socket - in three different colours each and with a cable length of 2 or 5 metre. 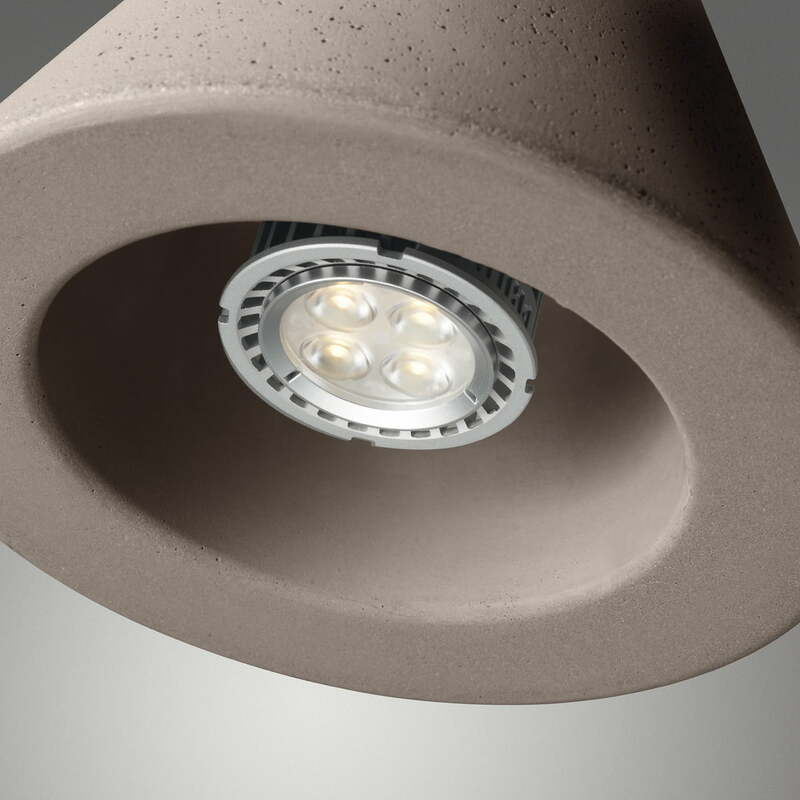 For the symbiosis of the lamps uncommon substance concrete and its unobtrusive design, the Aplom Lamp was selected "Lamp of the Year" by Foscarini and Lucidi Pevere in 2011.